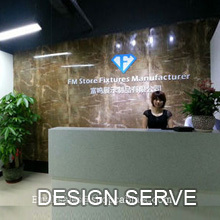 Fumin factory is a professional manufacturer of store fixtures. Mainly provide display cabinet for jewelry,garments, handbags, leather shoes, cosmetic stores. Our products sell well in the USA, Canada, Italy, France, Australia, Hong Kong, the UK and so on. 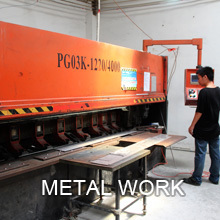 Fumin factory has a hardware room, a wooden room, a painting room and an installing room, totally four workshops with an area of more than 6000 Square meters. We have over 100 workers and a design team. We can offer OEM and ODM projects. 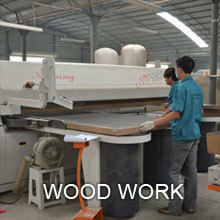 Our factory has a design department, a production department, a business department and a QC department. Foreign trade sales persons to deal with customers' requirements: inquiries, production feedback and after-sales services and shipment.